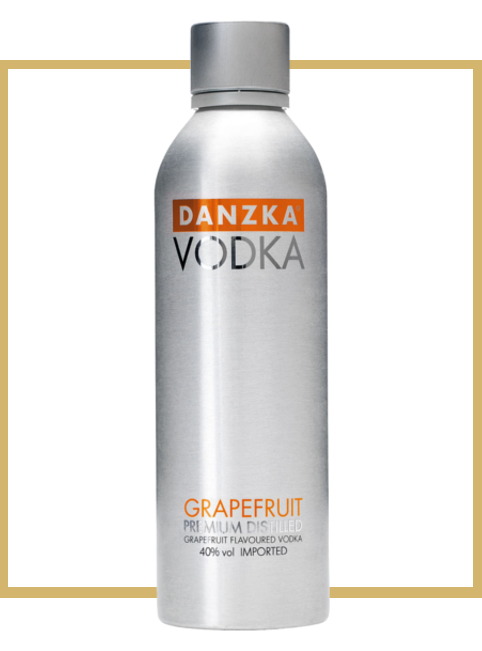 DANZKA Grapefruit adds a unique flavour twist to the classic Citrus variance. A great option to enhance your classic cocktails such as the cosmo with an extra layer of flavour. Lovely in mixed drinks, perfect long with Tonic and slice of pink grapefruit and a mint sprig. Color Clear & clean with long clearly marked tears. Nose The vodka opens up with a complex nose of sweet and slightly bitter pink grapefruit underlined by a touch of ginger spiciness. The grapefruit tones elegantly yield to sweeter tones of orange zest & citrus. Taste The initial opening is an interesting medley of citrus fruits with remarkably little alcohol burn. The citrus/grapefruit character is once again underlined by tones of spiciness, more reminiscent of a chili/pepper heat. Finish The finish is bright, citrusy, elegant & perfectly balanced: The grapefruit tones linger nicely to the very end, alongside the vodka, with neither character overpowering the other one.